It is the purpose of the city to protect and preserve the lives, health, safety, and well-being of the people living in or visiting the city. The Emergency Management Services division is established under the Department of Public Safety. 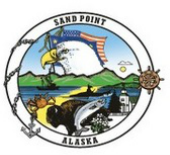 The City of Sand Point owns and operates an ambulance and has a volunteer crew and emergency response equipment ready to assist when the need arises. While the City is responsible for the transport and co-delivery of emergency patients to the Health Clinic, Eastern Aleutian Tribes provides the medical assistance on-site at the clinic. Denise Mobeck serves as the EMS Coordinator for the Department.